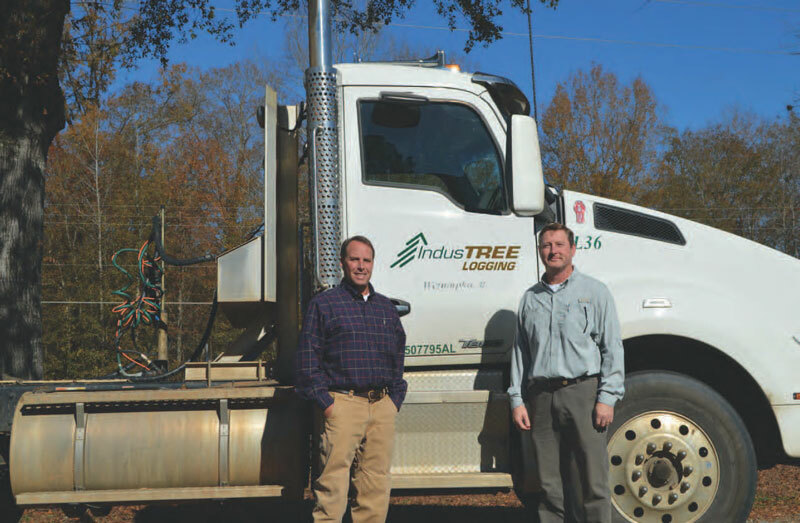 Formed in spring 2015, HITREE Logging is a partnership between IndusTREE Logging and veteran swamp logging contractor Jay Huber, who’s worked extensively in Florida and south Alabama swamp logging and earned a reputation for innovation, efficiency and customer satisfaction. The company is targeting timber resources that are under-utilized due to their location on low-ground timber tracts that are inaccessible to standard logging machinery. 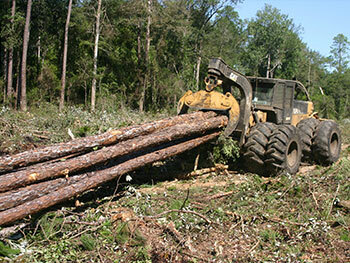 According to IndusTREE Vice President Lee Davis, who oversees the company’s logging operations, HITREE Logging is an opportunity to develop a niche market serving landowners with low-ground timber or tracts that require special care—while also producing logs for IndusTREE’s Castleberry, Ala. sawmill. While operating low ground pressure felling and skidding machines like a traditional swamp logging operation, HITREE Logging also utilizes specialized equipment to build skidding mats, allowing timberland owners to reach and utilize timber that’s inaccessible by conventional logging systems. What HITREE Logging does on most tracts is have the feller-buncher (cut-down machine) operator, upon entering a stand of timber, lay down a “mat” of felled trees that log skidders travel upon when moving logs to a higher-ground truck loading area. This minimizes ground disturbance and soil compaction by confining skidder travel to a single trail. Meanwhile, the tracked feller-buncher works in tandem with a low-ground pressure excavator and drops trees where the excavator can efficiently move them onto the mat. With its boom-mounted sawhead, the feller-buncher can access multiple tree stems from one location without driving to each tree as a conventional machine must do. This type felling further reduces ground disturbance—and also increases timber utilization by being able to reach trees in places where wheeled machines can’t go. Skidders run with dual-tire configurations that also provide a light footprint when traveling along the mat.